For years, Marni Witkin, a home cook in Los Angeles, concocted liqueur from citrons, or etrogs, the citrus that is the symbol of the holiday Sukkot. It became so popular that she began producing it commercially with her husband, Howard, under the name Sukkah Hill. With their success, they introduced a second aromatic spice liqueur, called Besamim. Every bottle is made by hand, in their little beach town, distilled spirits plant, from all natural ingredients, pure sugar cane and delicious spring water. Never GMO. Never industrial. 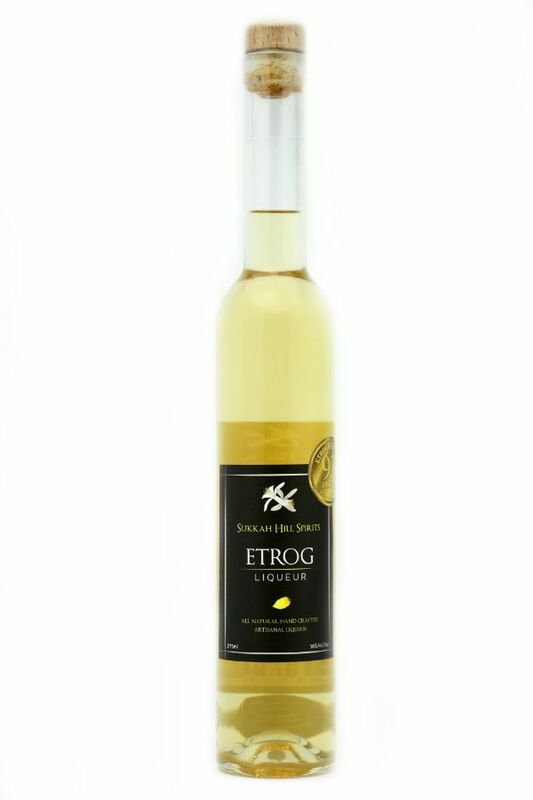 Etrog Liqueur, is made from a rare heirloom citrus fruit grown in the Sequoia foothills of California on a small family farm. Made with pure cane sugar spirits in small handcrafted batches. We use no preservatives, stabilizers, clarifiers, or artificial additives of any kind. The richness of our flavors, aromas and textures come from careful blending of exactly the right ingredients in the perfect amounts. It is gluten free, vegan and kosher for passover.